WALKING TALL: Banton waves to supporters as he makes his way through the NMIA airport. 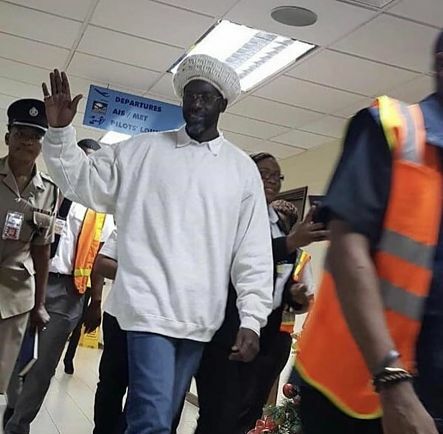 ON Friday night, it was a health-looking Buju Banton, a vision in white (tam, shirt and sweater) and blue jeans who stepped off the plane and made his way inside the Norman Manley International Airport, where his arrival was met with jubilation by a throng of supporters, most of them armed with smartphones and video cameras, eager to capture images of The Gargamel’s long-awaited return to his island home. The Grammy-winning reggae superstar (né Mark Myrie) was first setting foot on Jamaican soil after serving eight years at the McRae Correctional Facility in Georgia, USA, on drug-related charges. It was widely publicized that he would be released on December 8. As was previously reported, preparations are in high gear for a slew of comeback performances by the 45-year-old roots-reggae legend, known for hits like “Til Shiloh” and “Destiny,” not to mention the Grammy-winning opus Rasta Got Soul. 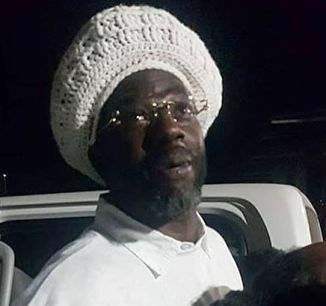 Reports have indicated that Banton’s first concert will take place next March at the Grizzly’s Planation in Priory, St. Ann, ahead of dates in Trinidad and The Bahamas. ‘The Long Walk to Freedom’ Tour has been scheduled for the summer.